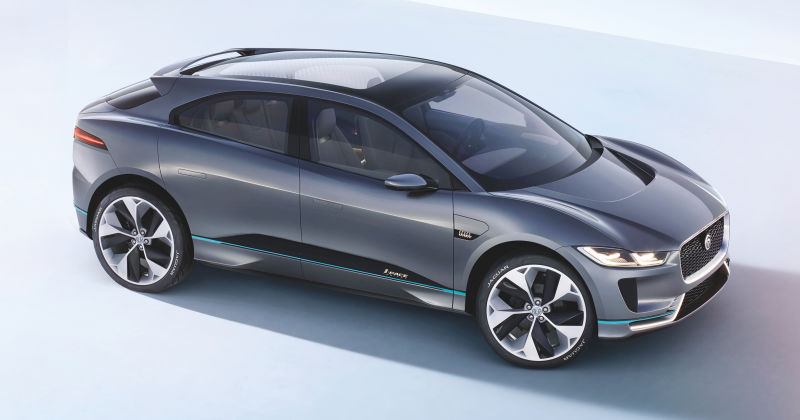 Ahead of Jaguar Land Rover’s launch of its first all-electric vehicle, the I-Pace, there’s now reports of the car’s price-point for. when it goes into production. If reports from early reservation pan out, the crossover could come close to the base price of a Tesla Model X. When reached, a spokesperson for Jaguar Land Rover declined to comment on the leaked prices. Jaguar has said it’d come in about 10-15 percent higher than an F-PACE, which suggests it’d be in the ballpark of $60,000-70,000, so this isn’t too far off. At best, it seems like this is just ... an electric Jaguar. That’s fine! But stacked up against the Model X, the I-Pace appears like it’s going to have a lot to prove. Jaguar doesn’t have the charging infrastructure like Tesla; the automaker says the I-Pace could fully recharge in two hours using a 50 KW DC charging network, but that’s for about 220-250 miles of range with the car’s 90 kWh battery pack. Tesla Supercharges can tackle that amount in about half the time. The adaptive cruise control gives it some of the driver aid features of a Model X, but Tesla’s Autopilot suite is still more advanced on that front. Still, the I-Pace can hang on the road; if it sticks to the concept released last year, Jaguar says it’ll pack 400 horsepower and 516 lb-ft of torque and could swing up to 60 mph in about four seconds. To its benefit, the I-Pace looks sharp. The appearance alone could give it an edge Jaguar needs among prospective buyers. Sales are expected to begin mid-2018.